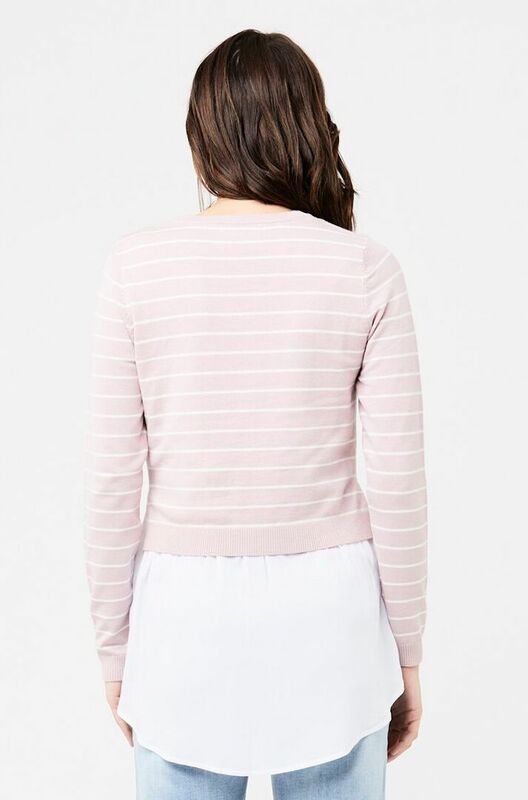 Through the week and on the weekend, the Sia Nursing Knit will be on high rotation! 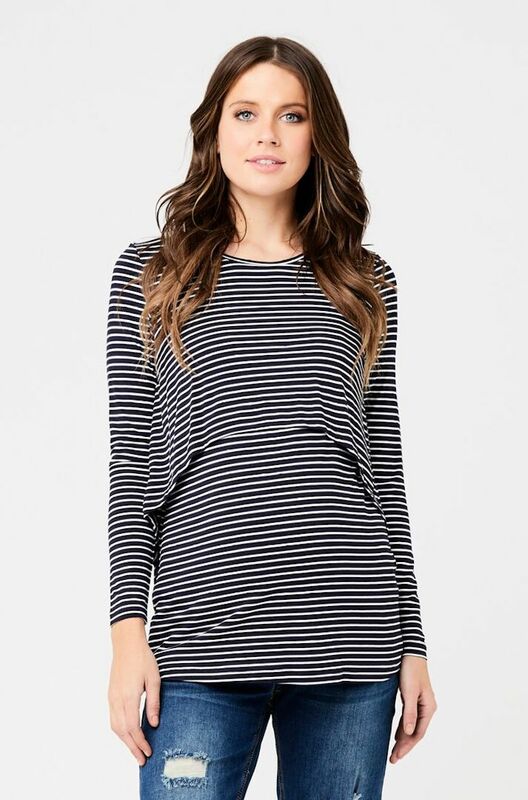 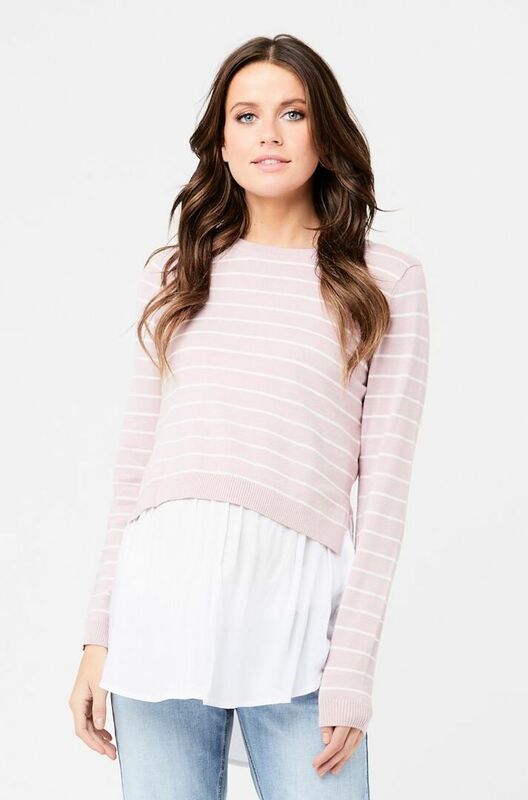 Providing the perfect fit through all stages including post-pregnancy, this staple piece features a yarn dyed stripe and full-length sleeves. 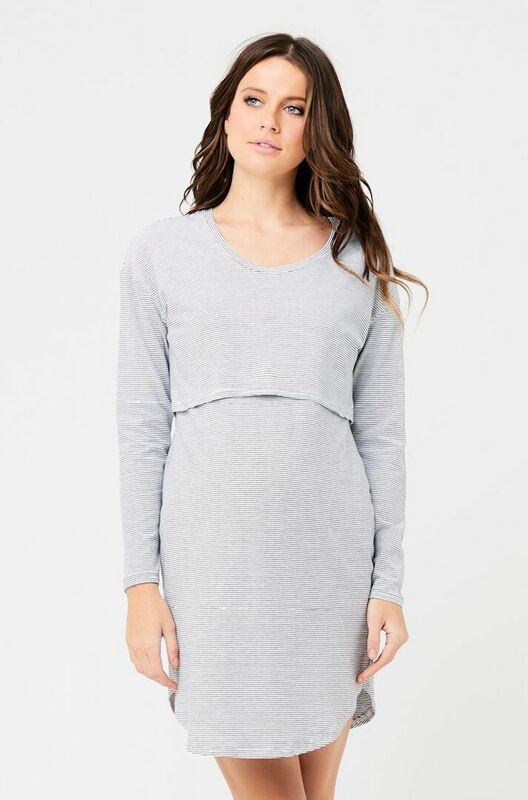 The knit and woven combination top also features easy, discreet nursing access.